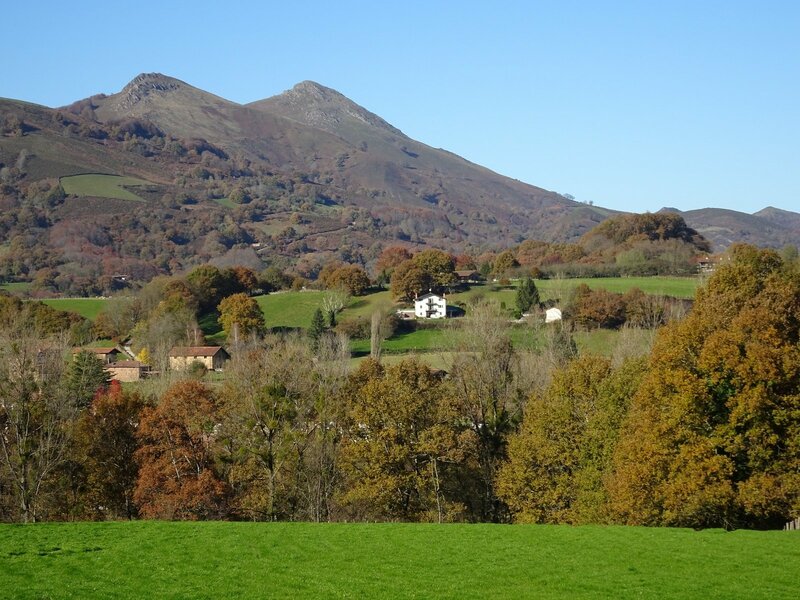 The Basque Pyrenees to San Sebastian is an unforgettable walking holiday across hills, peaks, meadows and forests to reach two of the most beautiful places in Spain: Fuenterrabia and San Sebastian. 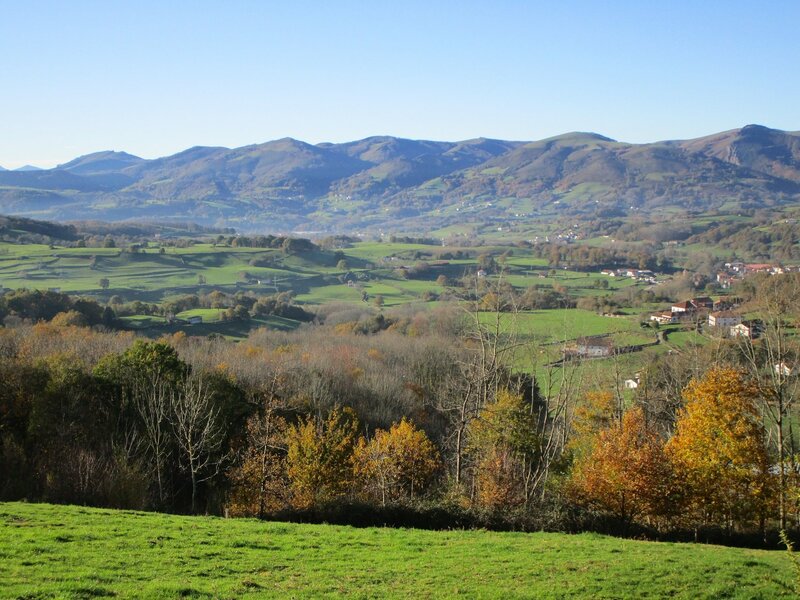 The itinerary runs along the valleys close to the French border, partially following the GR-11 long-distance trail. 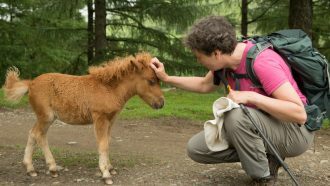 You will walk on paths offering spectacular views and you will rarely see someone else during most of the walks, although you may have some lovely encounters: there are still strings of small Basque Pottoka horses in the meadows. 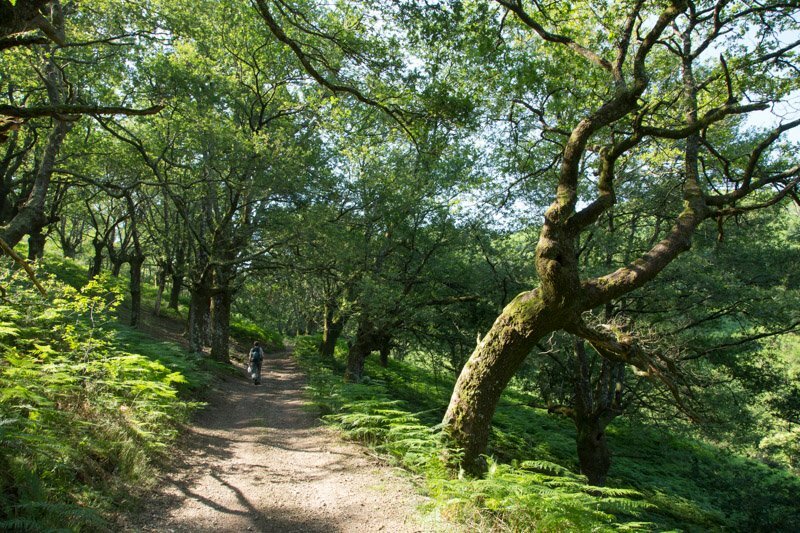 The paths are easy to follow and in most parts, they follow well waymarked routes. 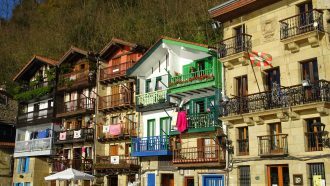 This itinerary is varied as it first goes through quaint rural areas to later head into the lively towns of Bera, Hendaye and Hondarribia, finishing with a magnificent coastal walk into San Sebastian, one of the most beautiful towns in Europe. 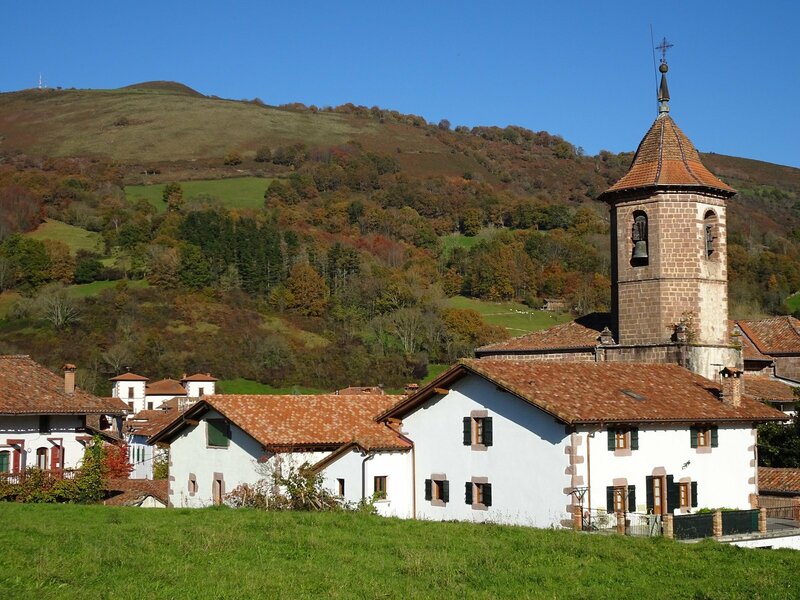 Welcome to the pretty Ziga, a small village with nice rural hotels and wonderful views of the Baztan valley. 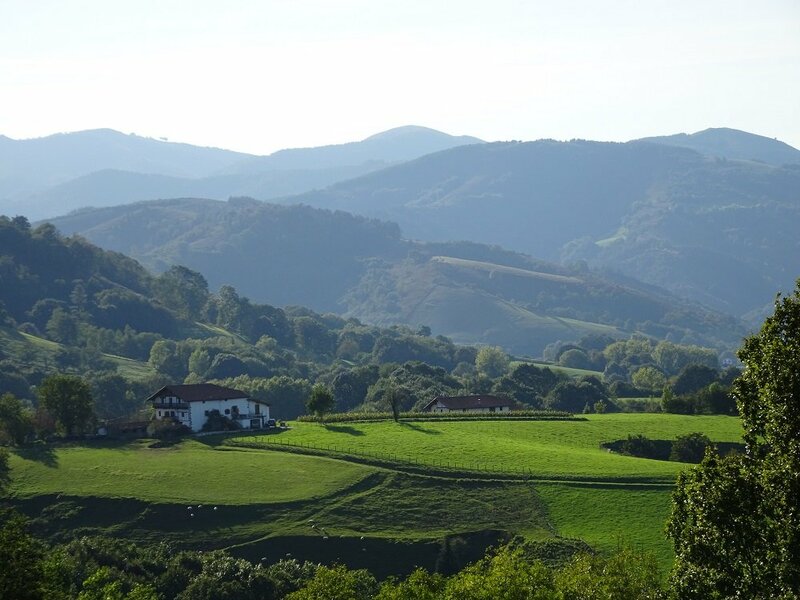 If we are not able to book a room for you in Ziga, your holiday will start in lively Elizondo, where you should not miss a stroll to enjoy its ancient houses and restaurants. 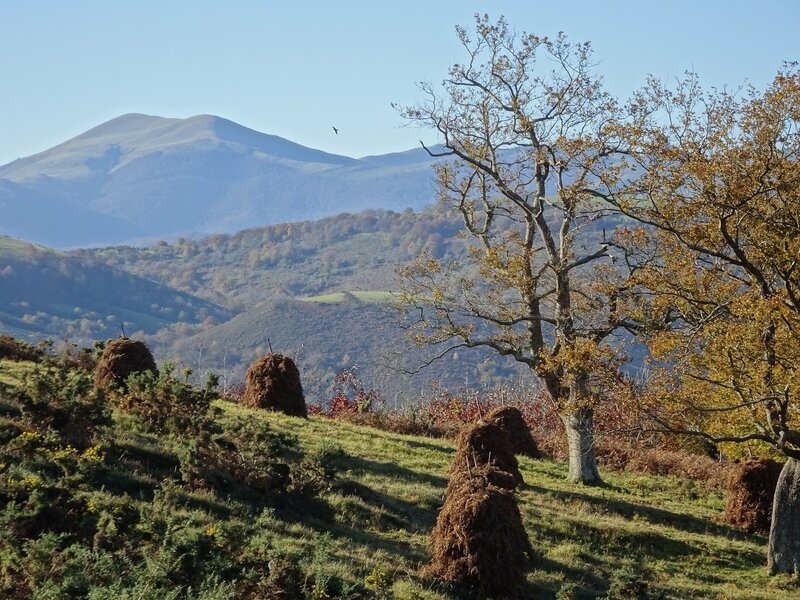 If your first night is in Ziga: Today’s walk starts with a gentle uphill walk to enjoy brilliant views of peaks and the Baztan valley, descending later to pretty Irurita, the perfect place to have a coffee and taste some chocolate at the local atelier. 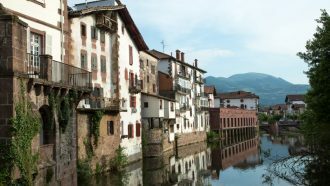 The route continues to pretty villages of Gartzain and Aristegui, and the day’s walk ends in lively Elizondo, the capital town of Baztán valley. 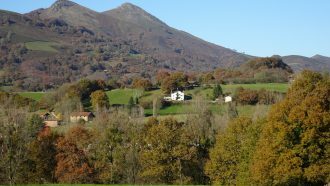 If your first night is in Elizondo: If you started in Elizondo, enjoy a great circular walk with views to peaks like Abartan or Auza and visit the pretty villages of Gartzain and Aristegui. 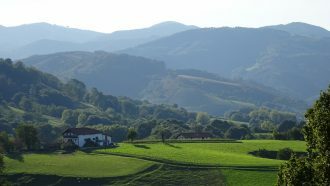 Walk up to the beautiful Beartzun valley heights to descend later to the remote and lonely valley of Iñarbegui, with views to the impressive Auza peak. Walk along a pretty gorge and take a short detour to visit the Xorrokin waterfall before continuing to beautiful Erratzu, where you will stay. 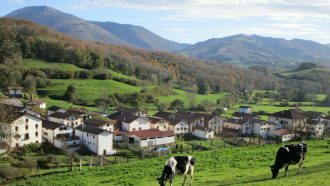 There is an alternative route available for these who prefer an easier day, enjoying lovely views of meadows, farms and hills of the Baztan valley, and a stop in Arizkun, one of the most beautiful villages of the area. NOTE: Depending on the availability, this stage may end in nearby Arizkun or Amaiur. 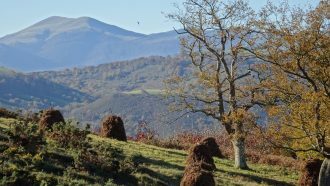 Walk up to the ridges, visiting pretty Urrasun and Zuaztoi, to join the GR 11 route, which you will follow for 8 km, crossing meadows, farmland, oak and beech forest. 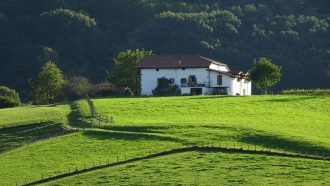 Leave the GR to descend gently to Etxalar, probably the most beautiful village of the whole trip. If you prefer a more gentle day, take a taxi lift (paid locally – 10€) to Otsondo pass and join the GR 11 after an easy climb. 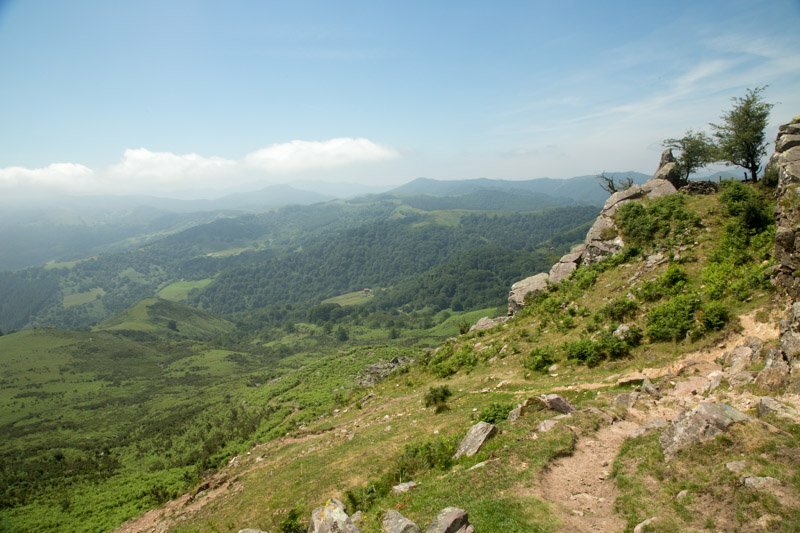 Start ascending along a spur, first between the oaks and later enjoying views from two valleys, to reach Lizaieta pass, on the border between Spain and France. If you want a more demanding day, climb up the beautiful Ibantelli peak, and if you prefer a gentle walk just keep walking along the GR-11. 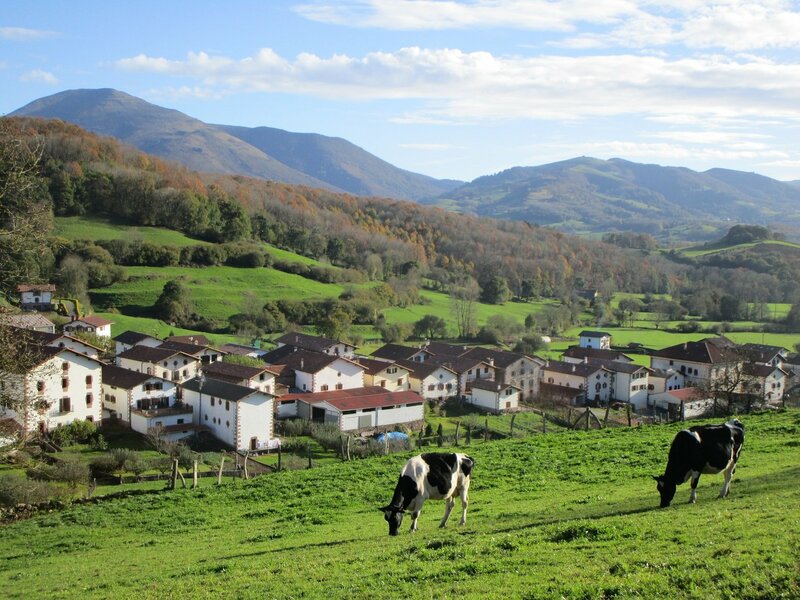 Descend to lively Bera, where you will stay. 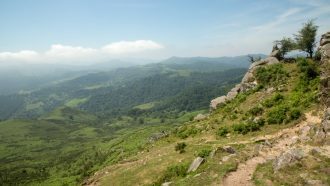 Walk up from Bera to the Ibardin pass, where you join the French route, GR 10. If you prefer a more gentle day, take a taxi to the pass. 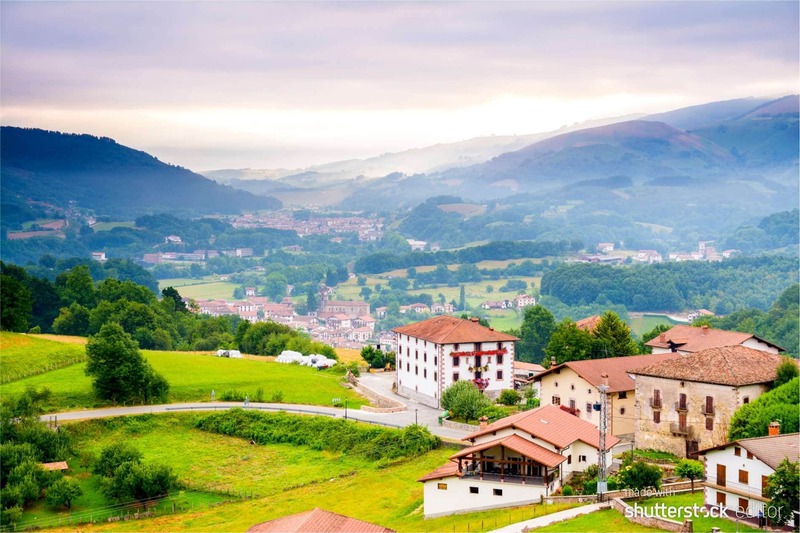 Enjoy the views from Ibarding and later from Xoldoko Gaina hill, and descend gently until you reach the charming coastal town of Hendaye, to take the boat to Fuenterrabia, without doubt one of the most beautiful places to visit in Spain. 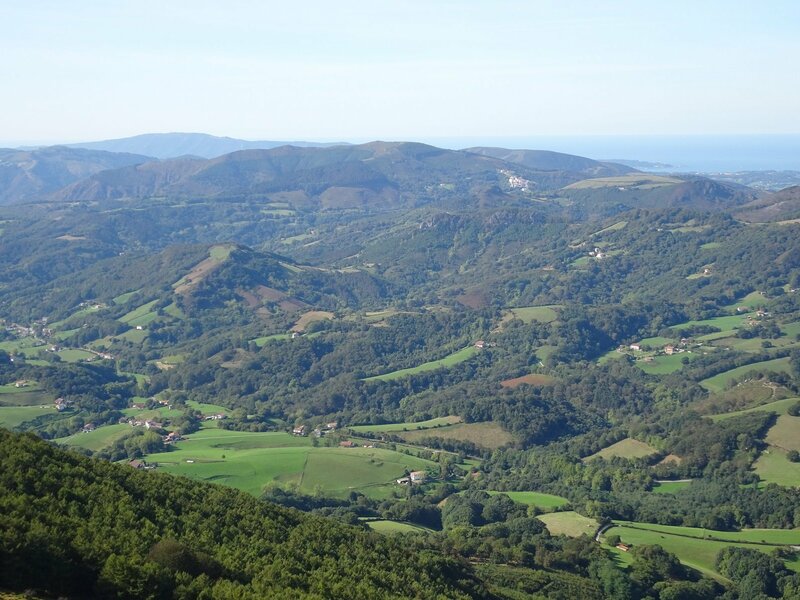 Walk up to the Guadalupe sanctuary and then further up to the impressive Jaizkibel coastal ridge, with views for miles for almost 10 km, to later descend to Pasaia, an authentic sailing and fishing village from the Middle Ages, the ideal place for a refreshment. 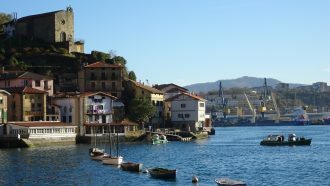 Take a short boat trip to the other side of the harbour (not included) and continue the pleasant coastal walk to beautiful San Sebastian. 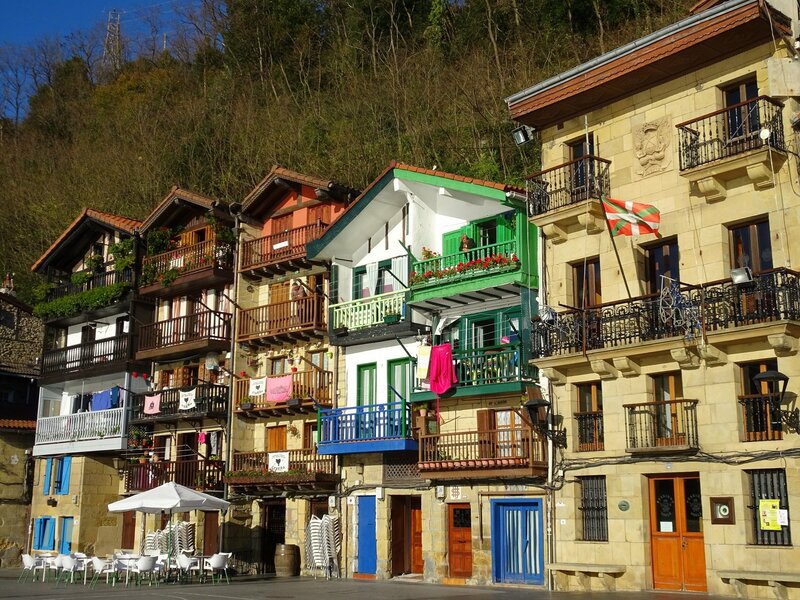 NOTE: depending on the season, and during weekends, many hotels in San Sebastian request 2-night minimum stays. Breakfast is included on 6 days (no breakfast in San Sebastian). You can also pre-book a meals pack which includes four dinner meals (three of them including wine). When no restaurant location is available on route lunches and snacks should either be bought from local shops, or packed lunch can be pre-ordered from your hotel the night before. 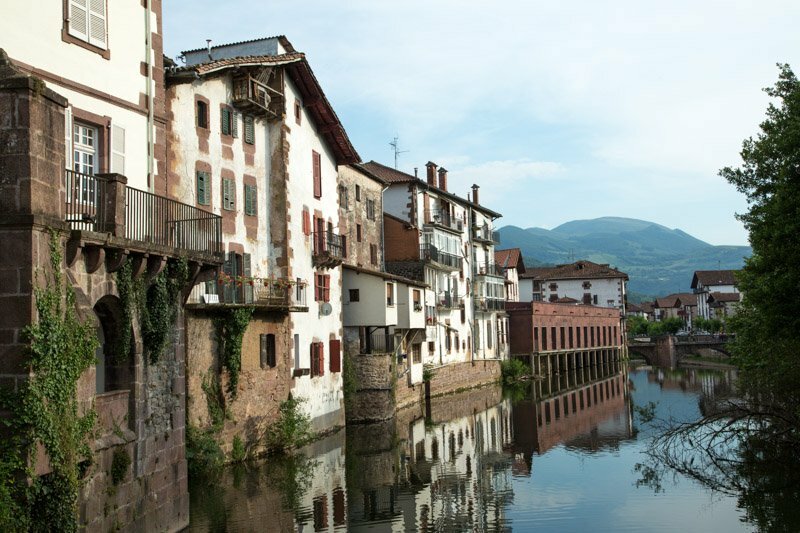 Our recommended arrival airports for this holiday are either Bilbao or Biarritz. 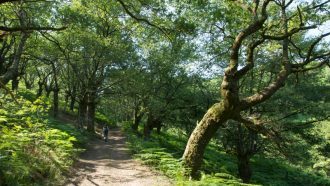 This holiday is appropriate for experienced walkers (no high mountain experience required) and requires a good level of fitness (read more about difficulty grades). 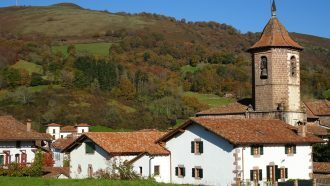 This trip is available in April, May, June; September, October and early November. The San Sebastian cinema festival takes place in the second half of September and it is usually impossible to find accommodation there during the festival, so we recommend to avoid these dates for ending in San Sebastian (but you can start at these dates and end in the city once the festival is over), or we can customize the trip for you so it ends in Fuenterrabia instead. Tentative dates for 2019 are 20-28 September. 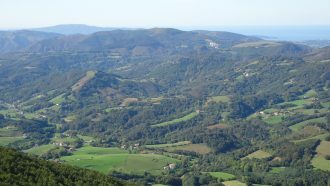 Generally, in this part of the range, winds blow from the humid Atlantic north, creating cooler, cloudier and wetter conditions on the French side. 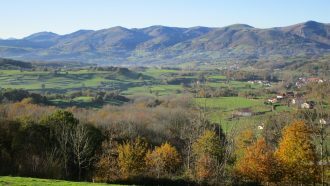 The southern-facing Spanish side, where our walking takes place, sits in the rain shadow and enjoys a much better climate, usually dry and sunny during the summer. The best months to come are May and October. We felt this was a great holiday - well planned, varied and very interesting. We loved it! There was a good mix of varied walking, stunning views, landscapes, places to stay and wildlife/flowers. 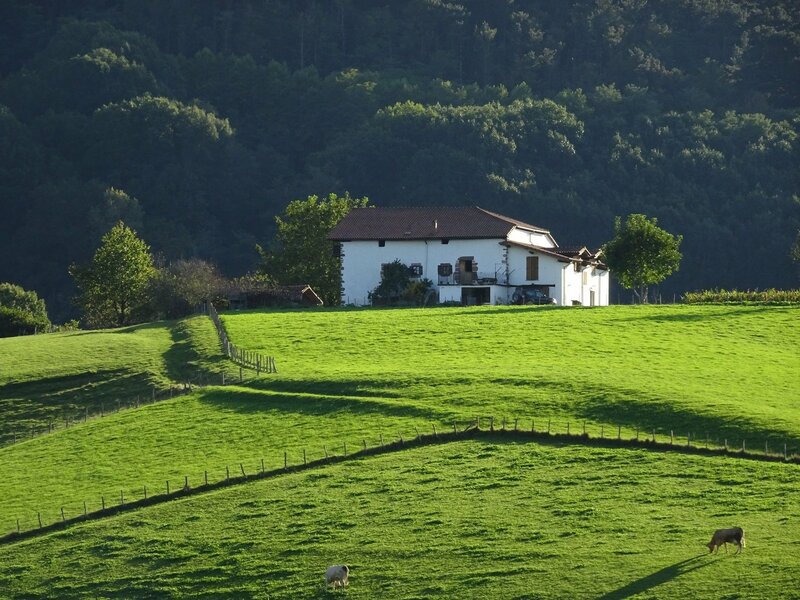 The quality of the hotels/guest houses was consistently superior to many holidays we have had. The routes were sufficiently challenging so we felt we had earned our rest. 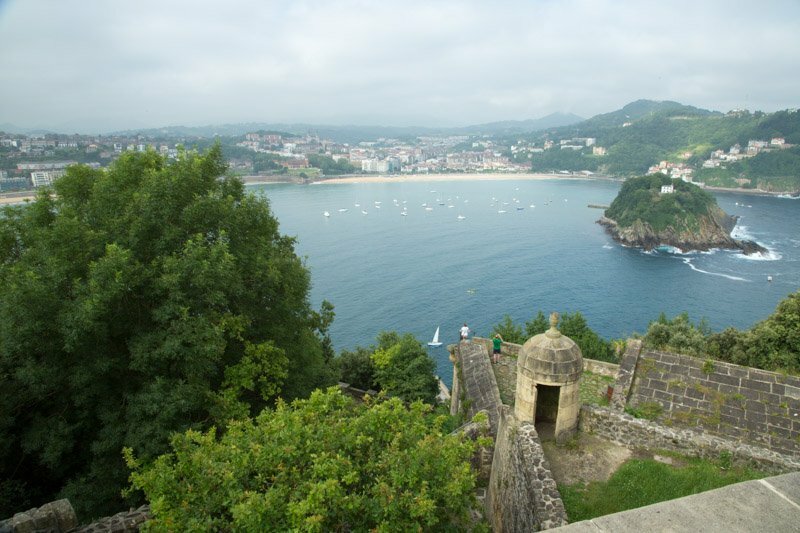 And the grand finale in San Sebastian: beautiful city, such and interesting place to finish. Plenty to see and very pretty. We will definitely recommend you to our friends and family. Thank you for your attention to detail, your enthusiasm, and for giving us such a great time! 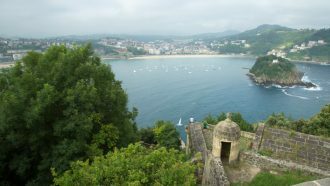 We did the Basque Pyrenees to San Sebastian walk in early June. It was a joy from start to finish. 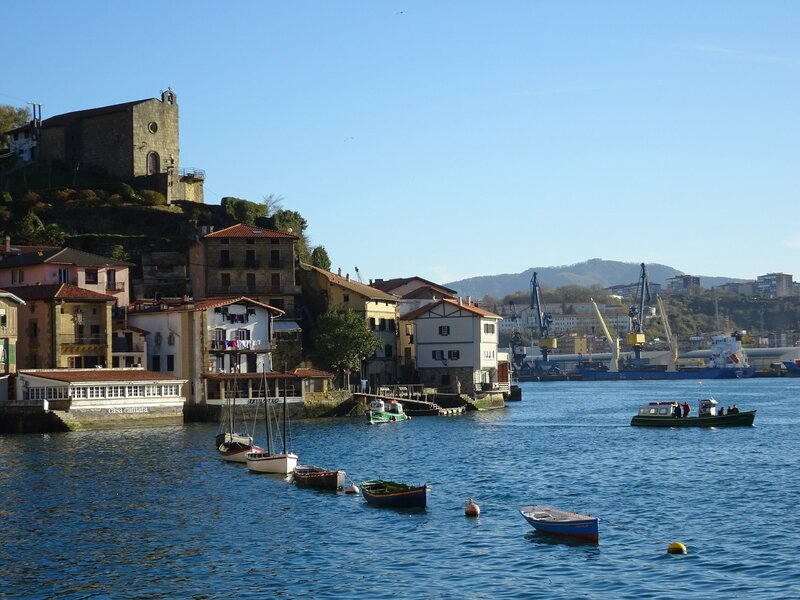 It is a beautiful route across the hills, nosing into lovely villages, and finishing with a coastal final day from fabulous Hondarribia to fabulous San Sebastian. 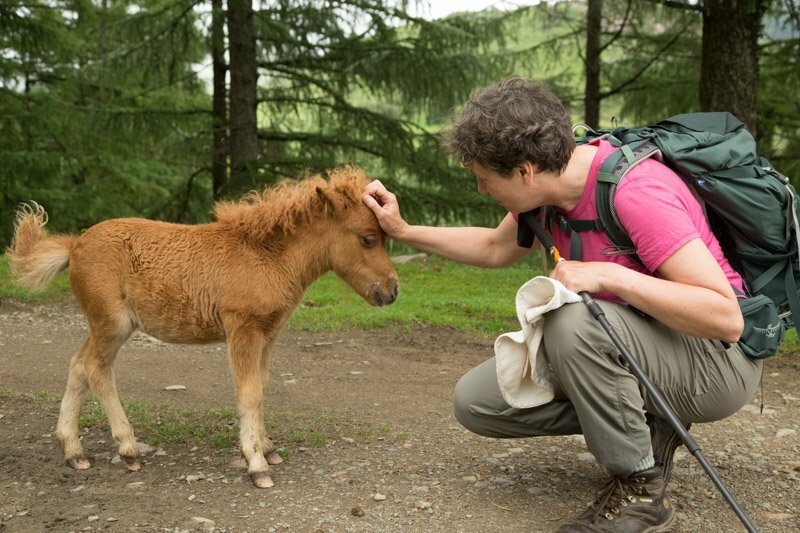 We had a great welcome everywhere, and some very special places to stay. Excellent maps and route descriptions.